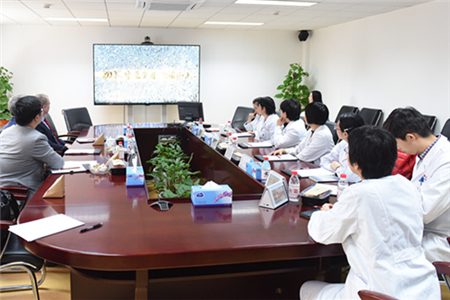 Peking University Third Hospital (PUTH) hosted visitors from Brigham and Women's Hospital (BWH) on March 28. 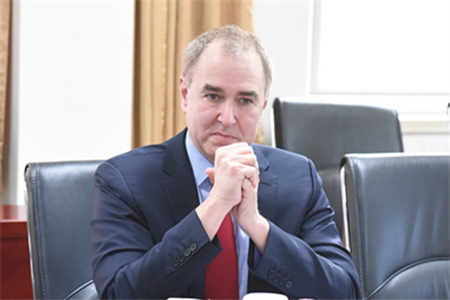 The BWH is a renowned teaching affiliate of Harvard Medical School, and its visiting team included Chair of Pathology Dr. Jeffrey Golden, Vice President Dr. Mark A. Davis of Business Development and Medical Affairs for Brigham Health International, and Manager Chris Liu of Brigham Health Business Development and Strategic Initiatives (BDSI). 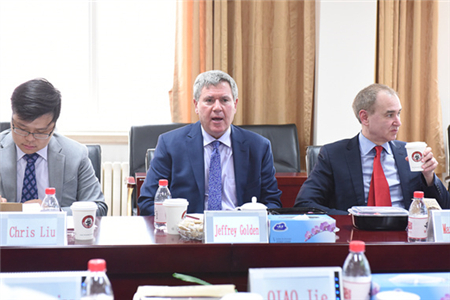 They were joined in talks by PUTH President Qiao Jie, chiefs of Reproductive Medicine Center and Pathology Department, Head of Staff, as well as former fellows at Harvard Medical School. 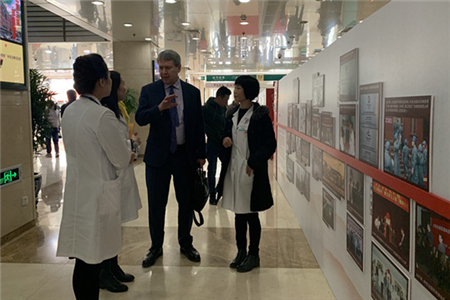 The visitors highly recognized the standards of care and research at PUTH in reproductive medicine and orthopedics, and expressed interest in building partnership between the PUTH and the BWH.